Born in an outhouse in Alabama, he has lived an incredible tale of a life. An outrageous adventure. Dragons slain. Tigers tickled. Death-defying leaps from fast-moving, fire-engulfed automobiles. Heroic deeds. He has rocked (multiple) babies to sleep... in a hailstorm. He doesn't mean to downplay what he's done or how he's done it, he simply wants you to be inspired. 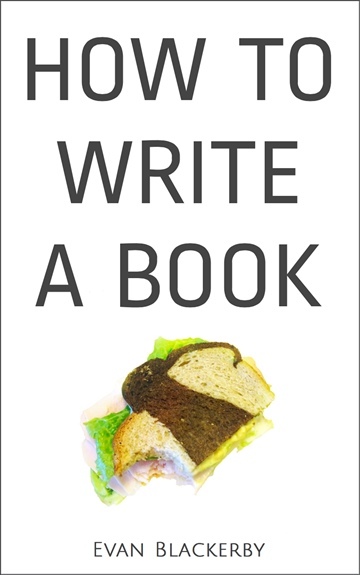 Blackerby wrote How To Write A Book in his car, after eating fast-food, and having his wisdom teeth removed ... sedated... in just under forty-five minutes, just to stubbornly prove to his father that it was possible. HTWAB attained the elite and nearly unattainable gold status of the digital publishing world with over 1,000 copies downloaded in its first week on Amazon.